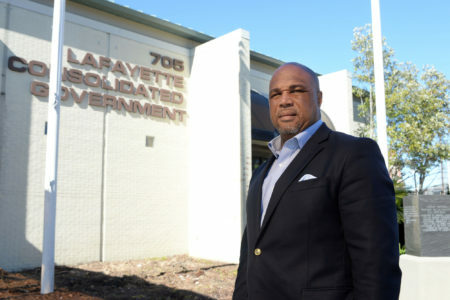 The mayor is unequivocal when he says any potential change in Lafayette Utilities System’s ownership or management structure should go to a public vote. But Joel Robideaux may have a big problem getting to that final step. Much of the City-Parish Council, already disillusioned that it was left in the dark during negotiations, appears unified in opposition to LUS’s electrical division changing hands. “It shouldn’t be revealed in the public, and that’s the first we hear of it,” says Bruce Conque of a non-binding letter of intent Robideaux signed in early April to enter a cooperative endeavor agreement with a subsidiary of Bernhard Capital Partners, the private equity firm linked to a potential acquisition of LUS’ electrical division. Conque has publicly voiced displeasure with the administration’s lack of communication on other matters. He fumed last week over hearing through social media about the Lafayette Police Department’s withdrawal from the Metro Narcotics Unit. The District 6 councilman chairs the council’s police liaison committee. Police Chief Toby Aguillard later apologized and committed to looping the council. “We don’t need to know details,” Conque says. He suggests that Robideaux could have clued in relevant committee leaders like Council Chairman Kevin Naquin, who heads the council’s finance committee. Reached by phone late Tuesday afternoon, Naquin, who first learned of the potential sale in an email he received from The Current on Sunday, sounded perturbed. Naquin was on vacation at the time and unaware of The Current’s Friday story about ongoing talks. He questions why council members weren’t informed — and is equally distressed that LUS’s hundreds of employees had to learn about the talks from the media. For his part, Robideaux characterizes the status of his talks with Bernhard as provisional and not yet at the point where he should address the council formally. Legally, the council would need to approve a deal he reaches with Bernhard, or any other buyer for that matter. It could be argued that communicating his plans to the council beyond that would be a matter of political courtesy. Even non-binding, the LOI signed with Bernhard could give the appearance of an advanced stage of negotiation. 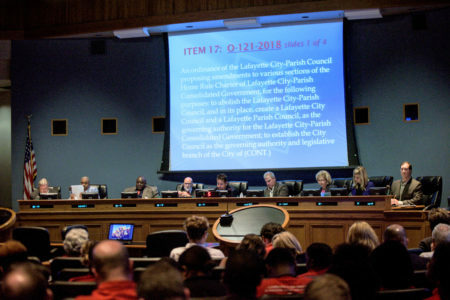 The agreement does not commit the city of Lafayette to any terms of sale, but it does expose the utilities system to heightened scrutiny by a potential competitor. Meanwhile, the employees and ratepayers who council members represent have been in the dark, rattled by news they didn’t see coming. 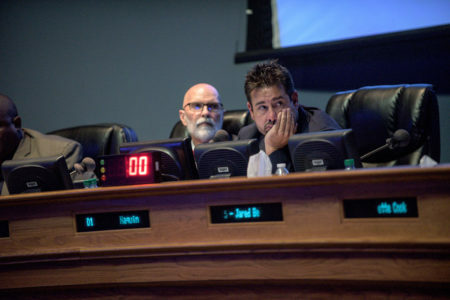 On Sunday, LPUA Chairwoman and District 8 rep Liz Hebert, also upset the council was left out on a deal of this magnitude, requested that Robideaux give an update on the issue to LUS’s governing authority and the council at their next meetings on July 24. Hebert, who will be absent for those meetings, says she is keeping an “open mind” about his response. At least one legal opinion issued with respect to the deal has concluded that the type of cooperative endeavor agreement laid out in the LOI would not require a public vote, as is called for in the charter. But council members are adamant that any new structure be approved by city residents, who voted to create LUS more than 120 years ago. “The people of Lafayette who own LUS must make the decision,” says District 9 Councilman William Theriot, who primarily represents residents in Youngsville and south Broussard. Robideaux says he, like the council, believes any decision to divest the city of LUS should go to a vote of the people. And he recognizes that council members may require that he commit to a public vote before they authorize a deal. 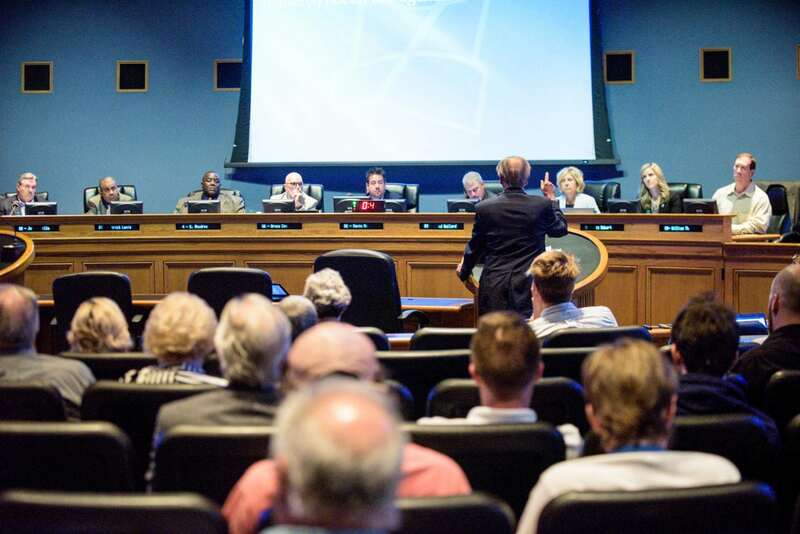 Should he pursue the deal with Bernhard, or another company that might step up with a better offer, Robideaux’s biggest challenge — at least at this juncture — may be convincing the council it’s worth the loss of the city’s most financially productive asset. LUS contributes $23 million to the general fund annually via in-lieu-of-tax payments, roughly half from the electrical division. “Based on what I hear from city residents, their recommendation would be absolutely not,” says Theriot, the parish councilman. Council members and the administration are at odds on how to fix the parish budget. Former Community Development head says Bruno’s loan warrants an investigation. The council is mulling one. Former Community Development Director Phil Lank says a HUD-backed small business loan to mayoral assistant Marcus Bruno represents a conflict of interest.